I was recently invited to contribute to the newspaper article How Colouring-in heals the psychological scars of trauma ( <– see link) and as a result of the interview process I have a couple of pages of added information. I thought it would be a good idea to blog some of the questions and answers that formed the basis of the article. How did Coloring come into your domestic violence service? The newsletter created an opportunity for residents of the shelter and outreach programs to share poetry and stories and for staff to promote programs and provide information relevant to the groups they facilitated. We had already undergone a cultural change in the shelter regarding the physical environment evolving from one of issue based posters and imagery, to a much more positive and uplifting setting. I was aware that the written word as a form of personal expression and communication relies on being able to read and write English. …and that it isn’t everyone’s preferred form of expression. Delivering information in written form was not always culturally relevant for Aboriginal women or for women from CALD (Culturally and Linguistically Diverse) backgrounds. As the daughter of a very creative mother, I recognised that many of the programs and systems in place in shelters are developed within an academic, not a creative framework so with the support of our management team and my colleagues I began to create tools that tapped into women’s creativity and gave the hands something to do that was engaging and fun. “Fun” is not usually associated with domestic violence shelters. In the late 90’s I read Carl Jung’s memoir, “Memories Dreams and Reflections” and was fascinated by the concept of the Mandala. I had seen how the young women at our shelter would get very involved in some of the playgroup activities that were designed for their children, including colouring in. I drew a very rudimentary Mandala and put the words “Believe in Yourself” at the centre and from that very first colouring sheet the women let me know that sitting at the table and colouring while the personal development information was being delivered had changed the group from a class room setting where they were often bored to a much more dynamic and engaging setting. Our group attendance and retention rate increased dramatically as a result of offering creativity and colouring groups to the women. Over the next few years I developed creative tools to accompany most of our in house information. For skills training in the area of budgeting, I designed a colouring sheet with circles representing their different financial obligations, such as rent, groceries, electricity etc and we coloured the sheet as we explored topics like budgets, direct debits etc. The completed poster became a visual tool for budgeting rather than a hand written form that is often left in drawers or left behind in the group room after the session. A very common topic in dv shelters is how do I change negative patterns? …especially if it is the 2nd or 3rd domestic violence relationship that a woman is experiencing or she has grown up with domestic violence and does not recognise the intergenerational cycle. For those sessions I designed Mandalas that had affirmations such as “I release the patterns that no longer serve me” and “I love and accept myself”. Within a couple of years I had created a master copy folder of colouring pages that were designed specifically for issues affecting women in domestic violence settings but also other pages that related to relaxation and goal setting. Our staff team enjoyed the colouring process also so I occasionally designed Vision statement colouring sheets for our team building days. How does colouring-in help people touched by domestic violence? Colouring in is a form of open eyed meditation. The rhythmic movement of the pencil slows the mind, acting like a kind of mantra because of its repetitive nature. Colouring brings the consciousness into the present moment. Rather than worrying about past events and speculating about the uncertain future around court cases and hospital visits, the creative process is relaxing and soothing. It is a form of mindfulness that is very effective for women dealing with trauma, who are in recovery from domestic violence. Colouring is not competitive and it engages the hands which are often excluded from learning and relaxation processes. 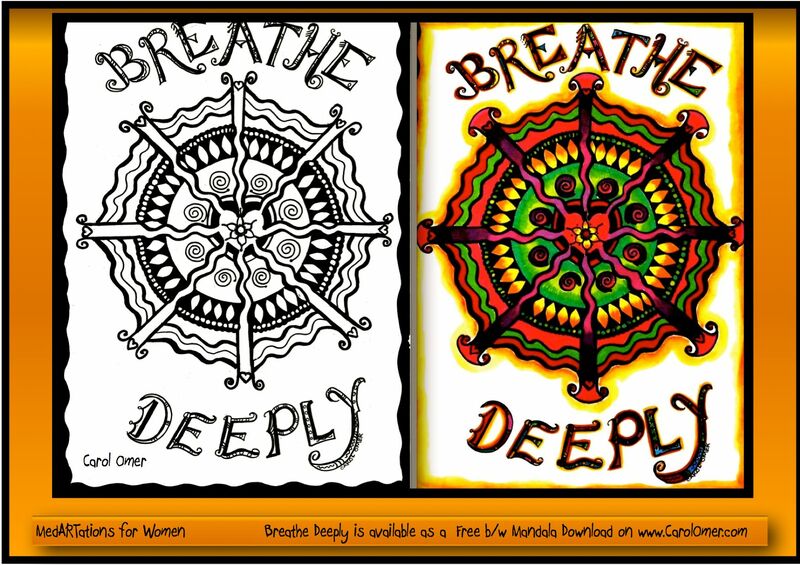 Breathing relaxes, the mind slows down and for many women the internal stress is transformed into creativity and focus while they are colouring in. When a woman arrives at a domestic violence shelter she is often in a highly traumatised and distressed state. She may have physical pain, post-traumatic stress issues and is finding it difficult to concentrate and focus. Along with dealing with court cases, hospital visits, financial issues and worry for pets who have been left behind, a woman will often be managing distressed children and in some cases extended family conflict relating to her decision to leave. I created a Colouring Pack for the women who arrived at our shelter. We added pencils and blank paper to the pack. Many of the residents said that although they hadn’t coloured in since they were young, they felt relaxed and peaceful as they coloured. I reminded them that we all had colouring pencils for the first few years of our life, at kindergarten and in junior primary but as time went on our creativity was often left behind in preference to the academic processes and outcomes driven education system that places the “arts” on the bottom of academic prestige and sciences on the top. As a result it is often seen to be childish or unprofessional to engage colouring-in as a training tool. At the shelter new arrivals were often shy or distressed and uncomfortable sitting in a group setting but once they sat at the colouring table and there was no pressure to speak or hold eye contact, they would often relax and begin to share their stories in a much more organic and relaxed manner than if they were sitting with hands on laps and expected to participate in the group dynamics. Colouring-in creates something beautiful from a black and white page. It is a personal, unique interpretation of the image and that in itself can be very reassuring and nourishing during times of distress and uncertainty. Tell me a little about some of the people who have found solace (if that is a fitting word) through your work? 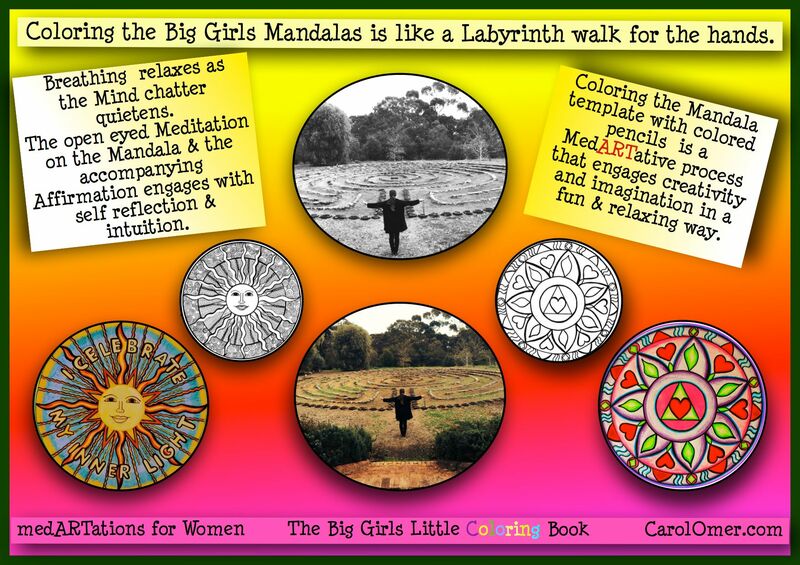 Colouring Mandalas and black and white pictures is a process that is relevant for women of all ages and cultural backgrounds. “When I was young if I ever felt proud about something I had done at school, my step father (who was abusive) used to always say self praise is no recommendation. I never felt good enough around him and he was always cristicising me, he still does, but this Mandala made me realise I am good enough and I don’t need to listen to what he said all the time. The next week she arrived at the group glowing, with a piece of paper in her hand. 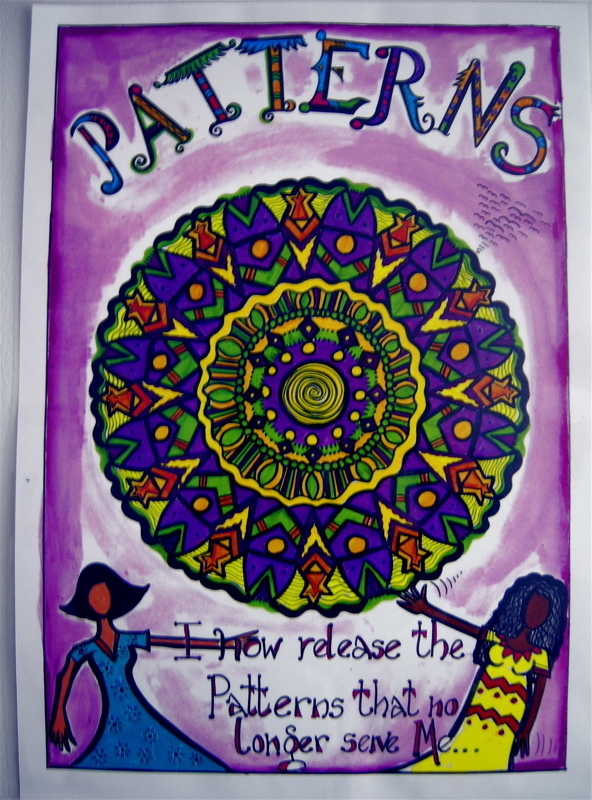 She had created her own Mandala with the words Self praise. The best recommendation. We made many copies of her Mandala over the ensuing years and long after she left our service and went to University, her colouring page was there in our group room for other women to colour and medARTate on the words she had written and the important message she left us all with. Colouring has taken her to a deeper, more reflective place within herself and in that place where she had rarely visited, insights and a new level of resolve awaited her. There was a young woman in the shelter from a refugee background. *L had lived in a camp in one of the African countries for most of her childhood. She was married at a young age and had courageously left domestic violence with her young baby. *L did not speak English and the staff members did not speak her language. She was shy in the group settings but her colouring style was so bright and skilful that she drew many compliments from the rest of the shelter residents. Although the colouring circles were not competitive as such and everyone’s unique style was celebrated it was obvious that *L was a gifted artist and the recognition of her art connected her to the women around her. She was proud of her work and generous in showing the other women her unique shading techniques. In this scenario colouring raised her confidence and self esteem and enabled her to be the “expert” in the room rather than experience isolation because she did not speak the language and we did not have interpreters on site. Would you like to see Colouring and Conversation Circles used across the country to help victims and survivors? 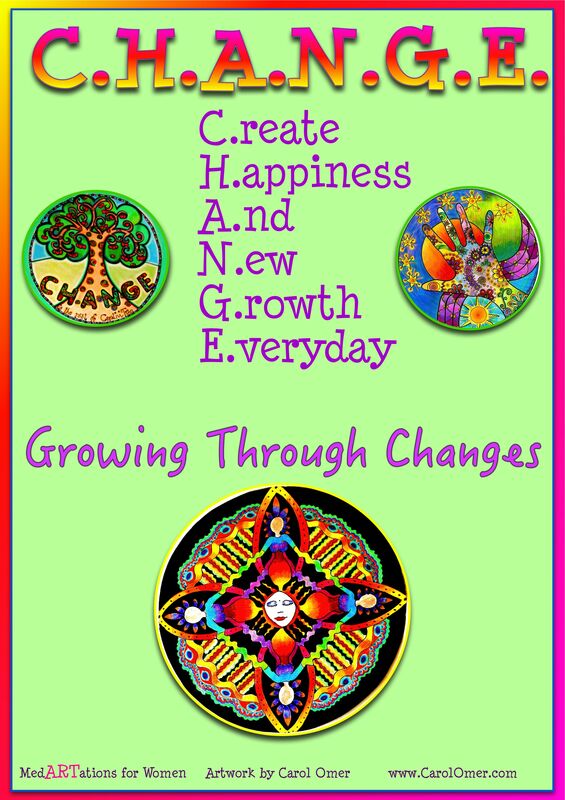 As a life coach and an advocate for equitable learning and embracing diversity I would like to see colouring circles in women’s prisons, homeless and domestic violence shelters and Community health and healing environments. I would also like to see social workers trained in the process of engaging with creativity as a tool for case management as many of the students who come to our shelters are often very uncomfortable with their own creativity or using it as a tool for developing trusting relationships. 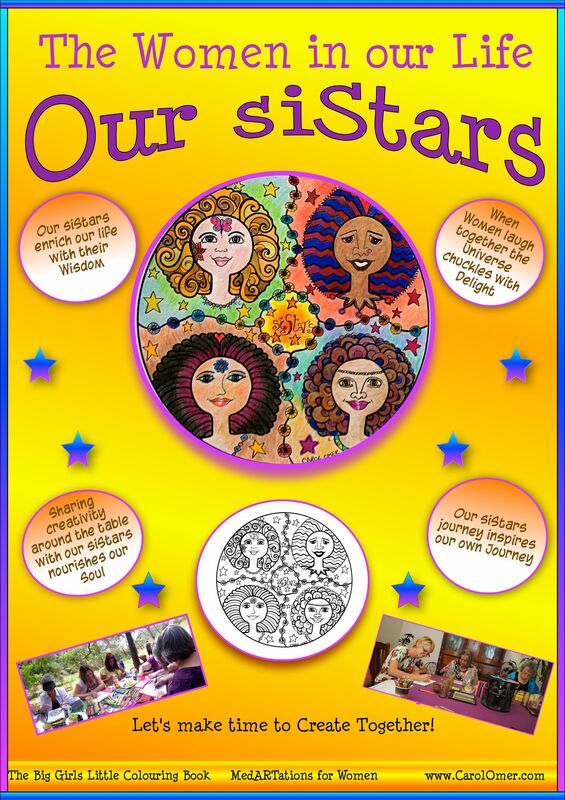 In settings where there are Aboriginal clients the colouring process draws on the cultural practices of art and creativity as central to community and learning through story and sharing creative practices. 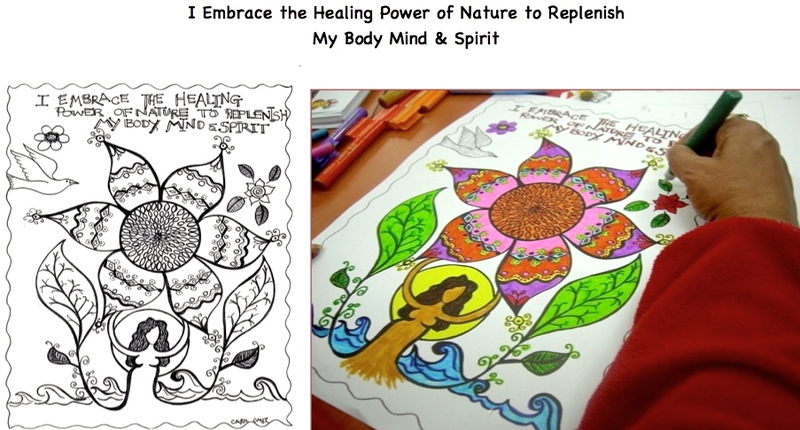 Victims of domestic violence are entitled to heal and recover in their own time and colouring is a gentle, easy meditation and in that moment of colouring they can have respite from dealing with the vast array of pressing matters that fill every waking moment. I would like to see front line staff and management and board members trained in the simple process of establishing colouring and conversation circles, this includes access to the colouring process as part of an organizations work-life balance policies. 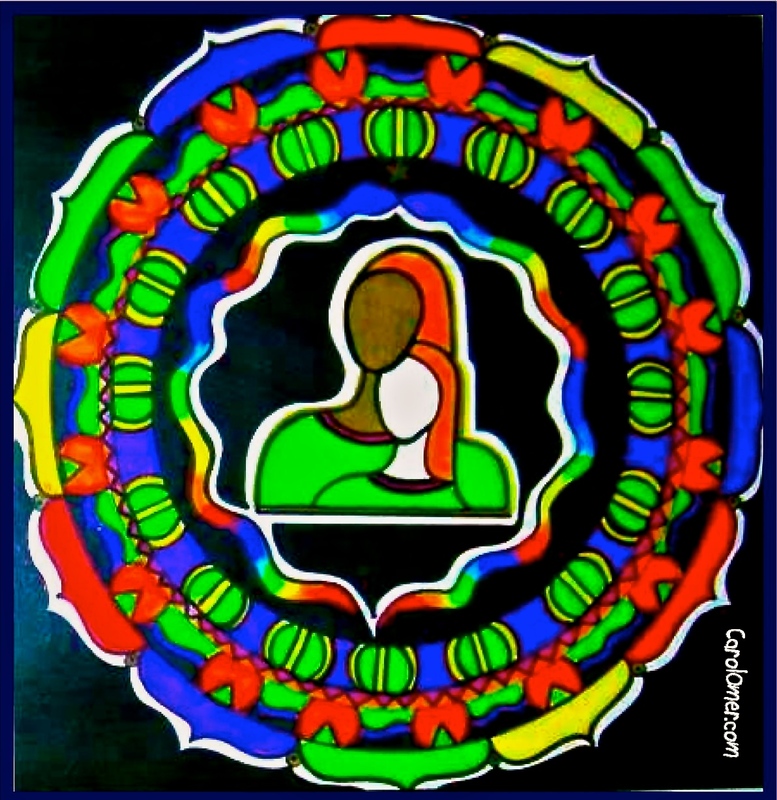 Colouring circles are a creative way for women who have escaped domestic violence to offer her knowledge and experience, to “give back” as one woman put it in the Talking Circle aspect of the colouring circle. 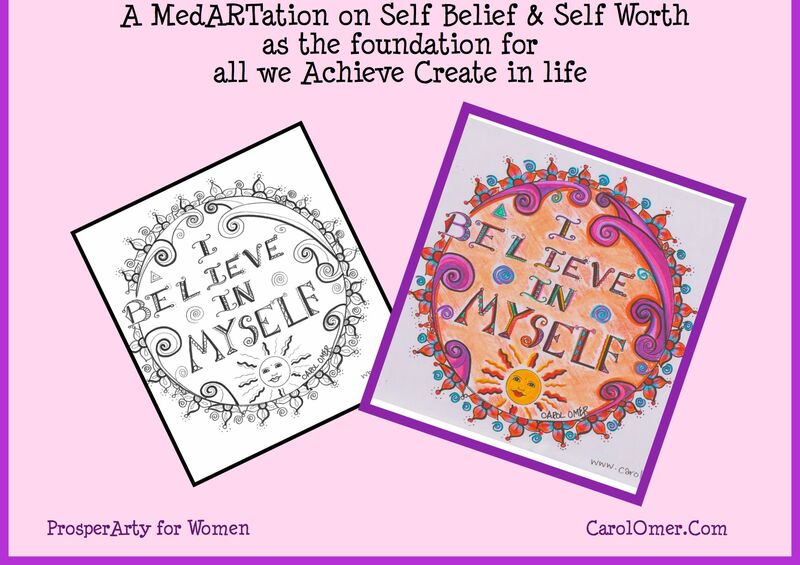 Carol Omer is a Certified Life Coach and Artist, specialising in Women’s Personal Development and Empowerment programs.